We are aware there is an integration issue with NCapture, this error message that you are receiving is a result of this issue. 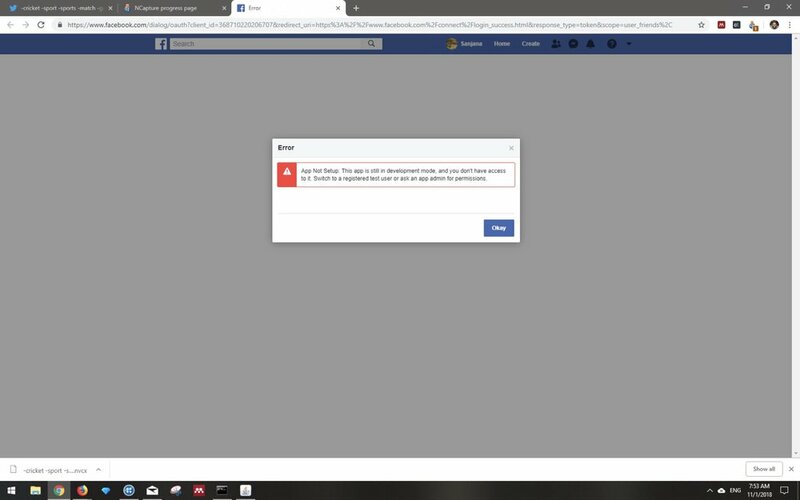 This is due to a block by Facebook. We are working to resolve the issue with Facebook, but unfortunately their turnaround times can take up to eight weeks. As soon as this issue has been resolved we will advise you. We apologise for any inconvenience in the meantime. Cannot capture wall posts for a page as a dataset. Cannot capture public group posts as a dataset even as a public group Admin. Users can capture Facebook pages as PDFs using NCapture. Is there any update on this? It has been about 3 months -- is there any timeline on it working again?